UCU members at West Thames College, South Bank College, Croydon College, Bradford College and Harlow College are today on strike tomorrow in a row over pay. The union said those colleges only had themselves to blame for the latest wave of disruption as a number of other colleges either reached agreement with the union to end the dispute or had made enough progress to allow for the strikes to be suspended. The pay gap between teachers in colleges and schools currently stands at £7,000 as staff have seen the value of their pay decline by 25% over the last decade. UCU said members were fed up with being told that nothing was possible unless the government came to the rescue. The union said it was simply not true that colleges could not work with it on pay, workloads or job security. 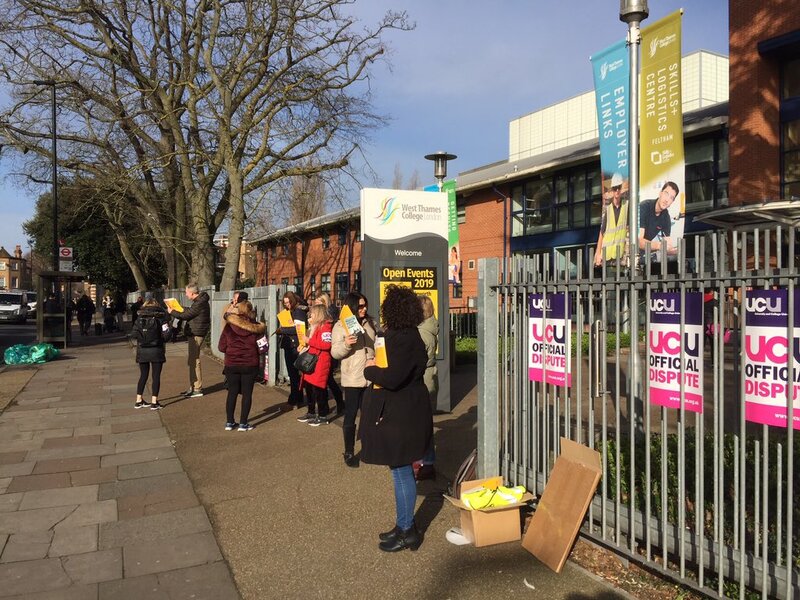 UCU head of further education Andrew Harden said: “Strike action is always a last resort and we are pleased that some colleges have worked with us to prioritise their staff and avoid disruption for students. We have always said colleges who engage with us on the pay and conditions of their staff will get a positive hearing and we are extremely frustrated that some chose not to do this.